Planning to install your TV on the wall? Good move – wall mounted TVs look better, are easier to view, and safer for families. But even if you’re good with tools, it’s a job you should leave to the TV wall mount installation pros. Don’t put your TV, your wall, or your safety at risk with a dodgy job, or get a bad experience from poor service. So, how do you know you’re getting a quality TV wall mount installation? What makes one company better than another? We’ve put together a detailed checklist of things to look for when comparing service providers so you can be confident you’ll get a professional job done. Finding a good service provider is simple: go through the checklist below and if you can tick everything off the list, you’re onto a winner. We’ve also included more details and insider information underneath the checklist so you know exactly what to look for. Installing a TV might not sound like a dangerous job, but it can be if it’s not done right. A professional TV wall mount installer will help choose the safest wall mount for the job and securely mount your TV. This will include finding your wall studs and avoiding any internal wall services (like plumbing and electricals). How experienced do you need to be to install a TV? As it turns out, quite a bit. The more experienced your installer, the quicker they’ll get the job done. And the more likely they’ll know what to do if anything unexpected happens (like issues with cabling, connections, larger TVs, or complex entertainment setups). Install My Antenna is the benchmark for experience in the industry – we’ve been running for over 35+ years and all our professionals are highly experienced. When you’re comparing TV wall mount installation services, go with the provider who has the best customer service. Expect a friendly voice, prompt answers, and the ability to quickly get a quote or service. In our case, we do instant over-the-phone quotes where possible and can often do same-day quotes at your home if needed. And if it’s outside of business hours, we’ll always call you back the next day. Your installer needs considerable industry knowledge to use the best equipment and techniques, plus integrate any other services you need. We’ve certainly got that. Is there anything we don’t know about TV wall mount installations? You be the judge and read our recent guide to mounting a television! 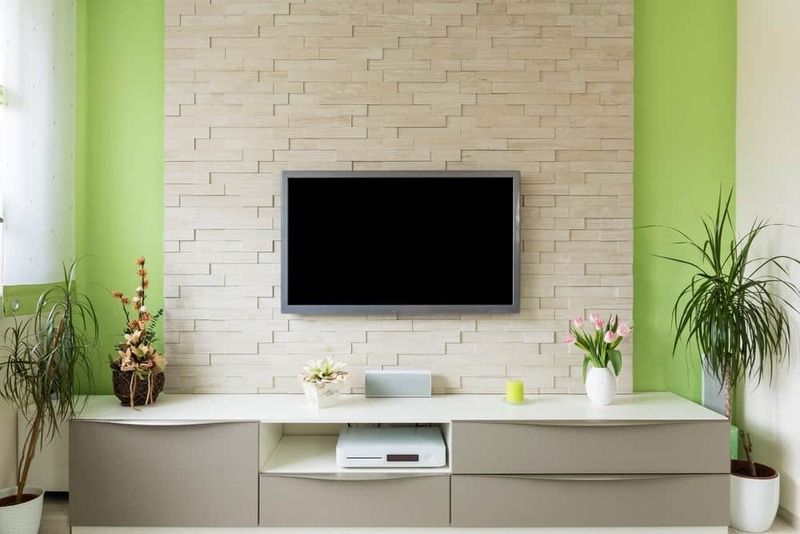 Then when you’re done reading that, check out how to figure out what kind of TV wall mount you need and 11 reasons to leave your TV wall mount installation up to the pros. Install My Antenna have local technicians based throughout Australia, including Sydney, Newcastle, Central Coast, Melbourne, Brisbane, Sunshine Coast, Gold Coast, Adelaide, Canberra, and Perth. You don’t want to be waiting weeks just to get your TV wall mount installed. We pride ourselves on getting our customers booked in fast. So, if you’re not happy with the wait times for a service, choose a different provider. A TV wall mount installation requires more than just general handyman skills (like using an electric drill and level). A lot of the time, you’ll also need extra services like TV wall point installation – ideally, right behind your TV wall mount to minimise cords. Your technician also needs a solid understanding of how TVs work, so they can get you connected and diagnose any issues if they arise. Chances are, you’ll have questions for your technician about the best setup for your room, or what channels you can expect to get on your TV once it’s up and running. After all, they do this sort of thing every day. So, hire a professional who’s happy to chat and give you advice, and whose advice is backed by real experience (not just a hunch!). You shouldn’t have to pay just to get a quote for your TV wall mount installation. If it’s a straightforward job, you might be able to get a free quote over the phone, and if it’s a little more complex, your technician should be able to visit your place (no obligation, no cost) to give you an accurate quote. And you shouldn’t have to wait long to get it! Rather than accepting the cheapest quote, go with the best TV wall mount installer for your budget. So, go ahead and compare prices, but make sure they tick all the other points on this checklist, too. Because it’s better to invest a little more and get a quality job than to risk a dodgy installation that’ll damage your TV or wall and risk your family’s safety. We’ve all met tradespeople and technicians who get in, get the job done, and go. But we don’t operate like that. We take a step back and look at the bigger picture before we start, including details like the layout of your room, sun glare, best angles, and how to minimise cords. You shouldn’t have to worry about a thing once your technician is gone – cord connections, clean-up, and more – we take care of it all. You should have a pretty good idea about whether a company you’re dealing with is professional by the way they treat you on the phone. If in doubt, don’t book. Or you’ll risk ending up with a technician who puts his greasy drill on your nice white couch. Don’t say we didn’t warn you. We only send out professional technicians who present themselves well, plus they get comprehensive training before they meet their first client. We’re confident you’ll always get the professional experience we promise. A good TV wall mount installer will give you access to the best TV brackets. They’ll know the best TV wall mount brands and will be able to recommend the right one for your budget and TV size. Our strong commercial relationship with suppliers means we can pass on great deals at the best prices. Not all companies get Quality Certifications, but they should. These certifications help companies become more professional by regularly auditing their systems, environmental management, and health and safety procedures. Install My Antenna have three high-level certifications at State, National, and International levels (check out the details here). Never go with a TV wall mount installation service that doesn’t come insured. Install My Antenna is fully covered in case anything happens while a technician is at your property, including all the appropriate public liability, product liability, and workers compensation insurances. Ready To Book a TV Wall Mount Installation Service That Ticks Every Box? We’re here to help. When you’re ready, give us a call on 1300 800 123 or request a free TV wall mount installation quote online. We look forward to getting your TV up on the wall so you can watch your favourite shows in comfort and style.